But this is the Chicken Jefferson at Chef Ron’s Gumbo Stop in Metairie, LA. 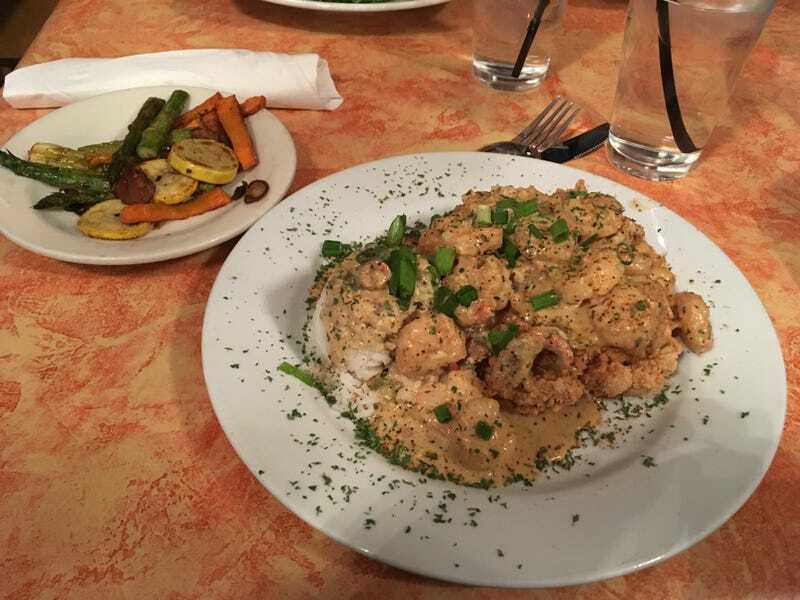 Boneless chicken breast fried southern style topped with shrimp and crawfish cream sauce. Holy cow, this is good.